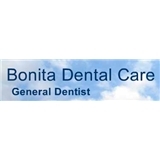 Bonita Dental Care (San Francisco) - Book Appointment Online! At Bonita Dental Care we provide a wide variety of cosmetic dentistry options available to get you the most perfect teeth possible, including natural-looking porcelain veneers and tooth-colored composite fillings. If you're interested in a whiter smile, we offer Zoom in office Teeth Whitening and a range of gentle bleaching procedures that protect your enamel while brightening your smile. Dr. Wong is also experienced in dental bridges and dental crowns to make sure your smile dazzles everyone.